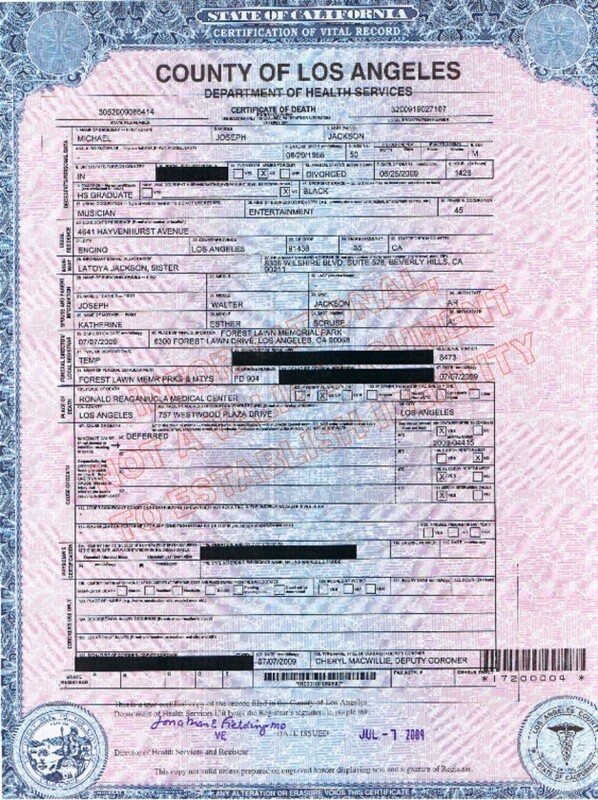 Re: Death certificate,different bar codes? What the...? You're right! I have no idea what this means, but I hope it's good news for us. Who is that Jonathan Fieldung, who signed the certificate? I'm sure this is already discussed but I missed it, why is Hayvenhurst stated as his address? I think Latoya gave that information. Or maybe because that's where he's living now. angela1958 wrote: Who is that Jonathan Fieldung, who signed the certificate? This was discussed on MJHD awhile back...you can still see it in the cache.